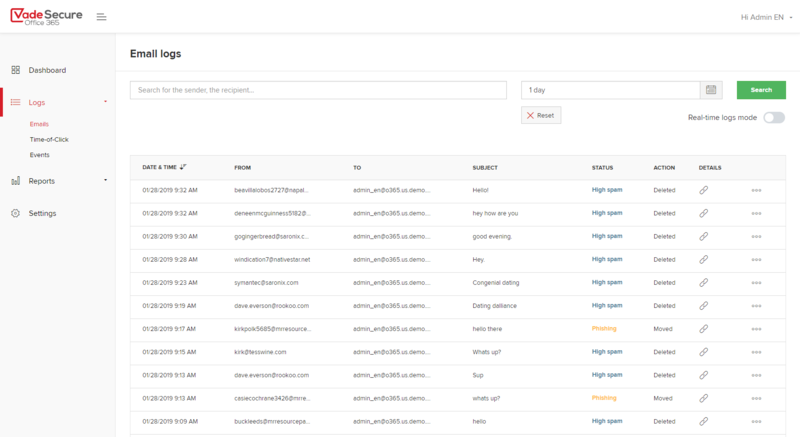 Vade Secure for Office 365 is the only email filtering solution fully integrated with Office 365 to offer a native experience and first-class protection based on artificial intelligence. Unlike previous generations' email security products, which required you to update your MX record, redirect your email flow and disable some of Office 365's security features, Vade Secure integrates seamlessly with Office 365 through an API and doesn’t disrupt your email flow. 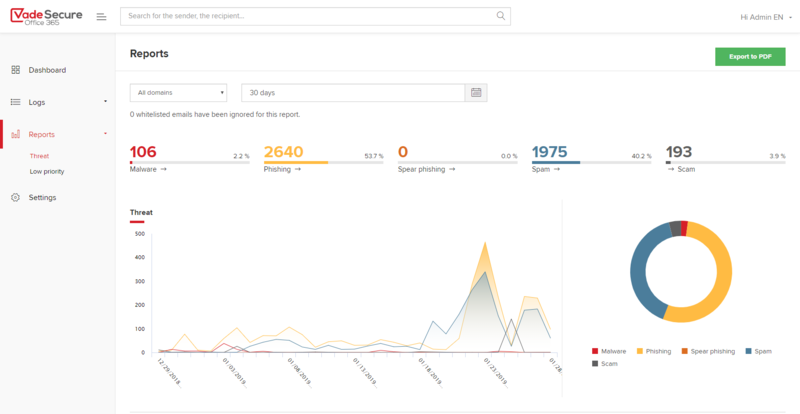 Our solution runs a passive analysis on a copy of each message and responds in real time according to the verdict issued from its filtering engine. This allows you to enhance Office 365’s security features (such as EOP) rather than replace them. * Instant deployment: just a few clicks are all it takes to activate the solution. There’s no need to update the MX record. 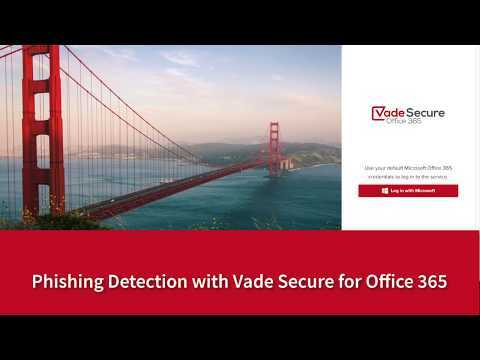 Simply authorize Vade Secure to access your Office 365 emails and configure your filter rules to enjoy immediate protection. * Native user experience: protect your employees’ mailboxes without forcing them to change their habits. Vade Secure is completely transparent and allows users to keep the Office 365 interface they know so well. 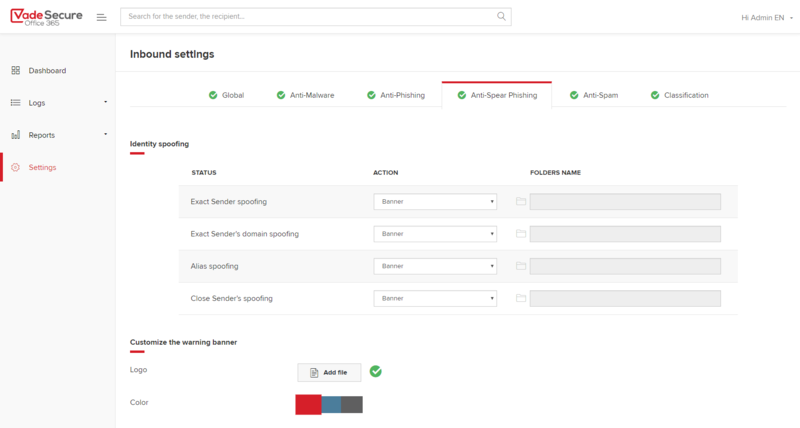 * Protection against internal threats: Vade Secure analyzes your email flows – including internal messages your employees send – to protect your company against attacks originating in-house. * Upgradeability and security: take advantage of the upgradeability of Cloud Microsoft Azure platform on which the Vade Secure for Office 365 is hosted.